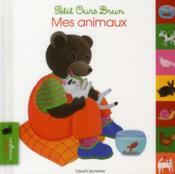 Little Brown Bear's word book. 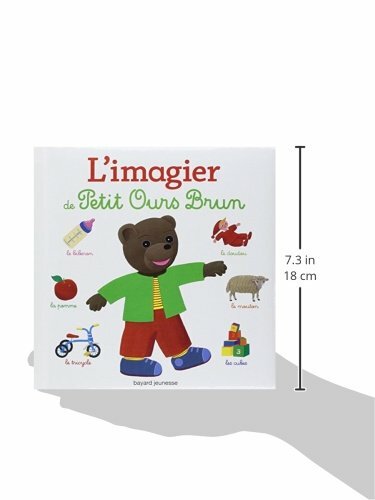 A brightly colored word book for young children. 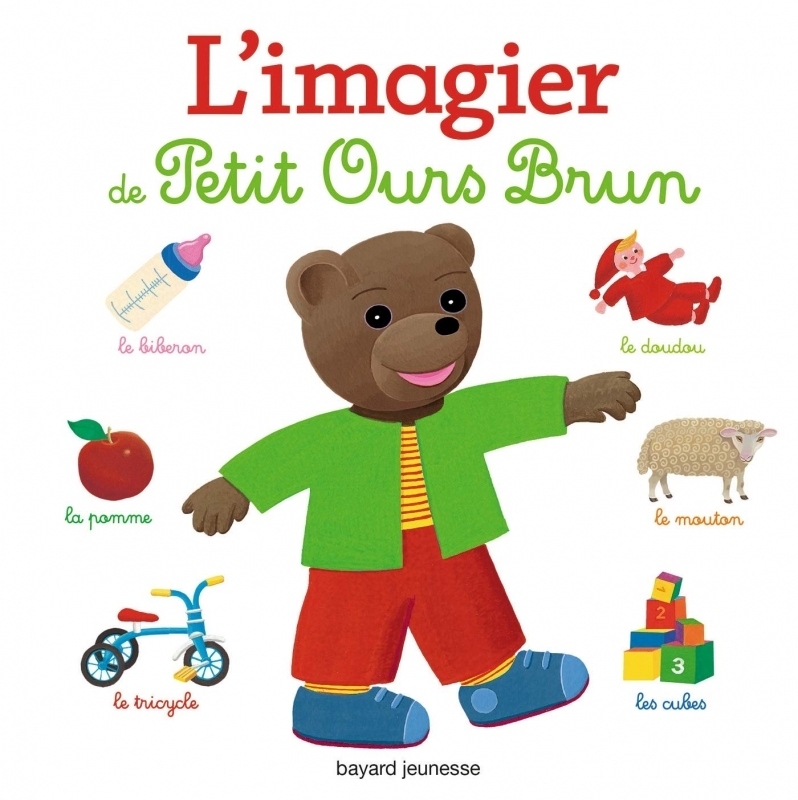 16 themes (the house, the street, the parc, the seasons, at the beach, in the countryside...), over 500 brightly illustrated words. 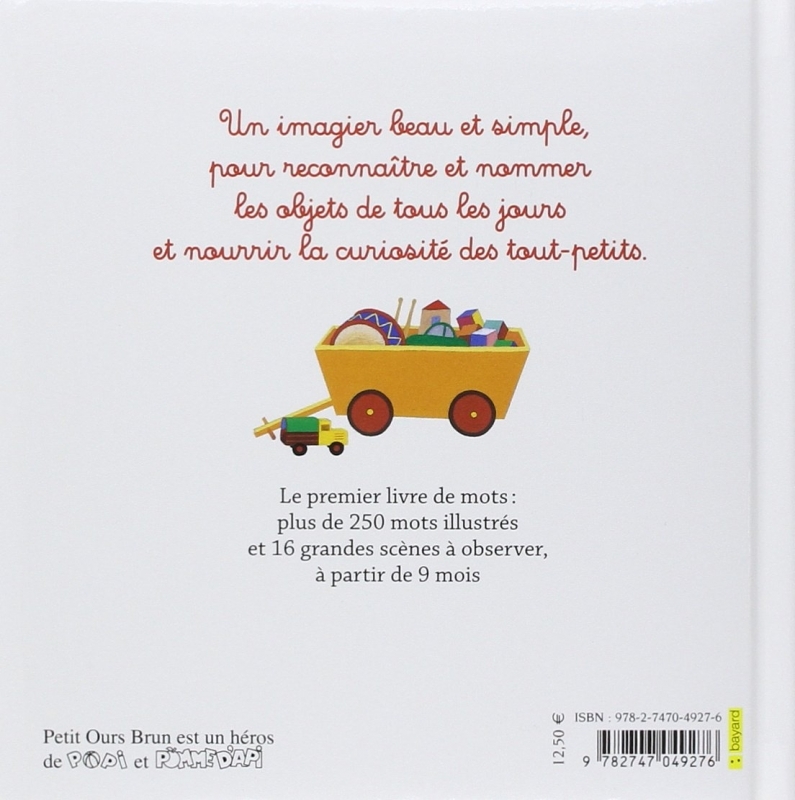 LDF Notes: Non-fiction for young children. Hardcover, rounded corners. Bright and colorful illustrations. 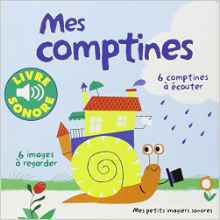 16 thèmes (la maison, la rue, le square, le marché, les saisons, la campagne, la mer...) , + de 500 mots illustrés. 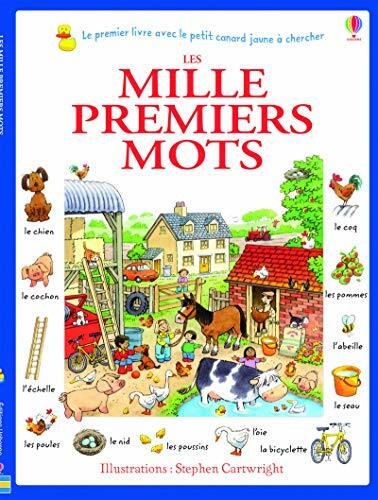 Notes LDF: Pour jeunes enfants. Couverture rigide, rembourrée, coins arrondis. Illustrations aux couleurs vives. Description: Hard Cover - 139 pages - 7in x 7in.